Just as stress is different for each of us there is no stress reduction strategy that is a panacea. Jogging and other aerobic exercises, different types of meditation, prayer, yoga and tai chi are great for many people but when arbitrarily imposed on others, prove dull, boring and stressful. There is certainly no shortage of stress relievers and in addition to the above, various progressive muscular relaxation exercises, autogenic training, deep breathing, massage therapies, visual imagery and self hypnosis practices are popular. There are also acupuncture, acupressure, biofeedback, Alexander, Reiki, Feldenkrais and other bodywork and postural techniques. Some people find that listening to music, hobbies, volunteer work, keeping a daily journal of events and how they feel, laughter, playing with pets, taking short breaks or shopping help them to relax. Others find relief for their stress related symptoms from aromatherapy, nutritional supplements like chamomile, spearmint, kava kava, adaptogens and St. John’s wort or even sitting under a pyramid. There are also prescription tranquilizers, sedatives, hypnotics, antidepressants and beta-blockers for specific complaints. In addition, a variety of cranioelectromagnetic stimulation devices have been found to be effective and safe for anxiety, insomnia and drug resistant depression. Strong emotional support from group therapy, family or friends is a powerful stress buster. Most of the above are designed to reduce the annoying somatic and emotional effects of stress. The focus in recent years has been on preventing such problems, which makes more sense. This involves identifying the sources of stress in your life and finding ways to avoid them or reduce their impact. We sometimes create our own stress because of habits and traits that can have harmful effects that can be reduced using cognitive restructuring techniques such as behavioral modification, assertiveness training, time management and stress inoculation. Others turn to smoking, alcohol or drugs to relieve their stress but these short-term solutions eventually cause even more stress. Long-term use of prescription medications can result in dependency or adverse side effects and some supplements can have similar problems or interact with other drugs. St. John’s wort has been shown to interfere with numerous medications and kava kava is banned in the UK because of liver damage. As indicated, they key to reducing stress is to prevent it. Getting enough sleep, a proper diet, avoiding excess caffeine and other stimulants and taking time out to relax may be helpful in this regard. Many stress relievers work because of the power of the placebo effect that comes from having faith in the procedure or the therapist. Other very different approaches can achieve the same results because they reduce feelings of helplessness and provide a sense of control over the problem. Numerous studies have shown the emotional and physiological benefits of direct visual and physical access to nature. Watching tropical fish swim in a tank or viewing a scene of natural beauty can provide significant stress reduction rewards for many people. Patients in a bed by a window that provides an attractive vista of nature seem to fare better than roommates who have only a wall or curtain to look at. Gardens located in healthcare settings also offer patients, visitors, and staff the opportunity for direct interaction with the restorative, calming effects of nature. A few decades ago, my good friend, Norman Cousins, others, and I were involved in a project to demonstrate how implementing these practices could reduce anxiety and pain medication requirements hospitalized patients and even improve staff productivity. At the University of Texas M.D. Anderson Cancer Center in Houston, an 800-gallon aquarium was implanted into a lobby wall so patients, visitors and hospital personnel could view a variety of fish flashing their brilliant scales as they flitted through the tank. Judging from their popularity, videotapes of nature or tropical fish that are often accompanied by a soothing sound track seem to provide similar benefits. However, a recent study suggests otherwise. Researchers recruited 90 college students to participate in an experiment in which they worked on four mental tasks while sitting at a desk in an office. With 30 of the students, the desk faced a window overlooking a campus scene that included a large fountain and trees. For a second group of 30 the window was replaced with a high-definition plasma screen that showed the same nature scene in real time. For the remaining 30 students, curtains covered the plasma screen and the desk faced a blank wall. Each participant was hooked up to a heart rate monitor and told to wait for five minutes while the researcher stepped out of sight. A concealed wall camera was synchronized with the heart monitor and tracked participants’ eye movements. At the end of the waiting period, the researcher returned, explained the first task and stepped out of sight. This was repeated for the remaining three tasks and then the subject was again told to wait for five minutes. Heart recovery rate was based on how quickly each participant’s heart rate dropped in the 60 seconds after being told to wait or to have one of the tasks explained. Each person’s performance was tallied on the basis of six measurements, once after every task and the two waiting periods. Low-level stress was created by having to deal with another person in a social situation and the anticipation or performance anxiety each might have experienced to do well on the four tasks. Nevertheless, alteration in heart rate is only one of many ways to assess stress. Several studies have demonstrated the benefits of various stress reduction videotapes based on other objective criteria as well as self-report. Reference: Kahn, PH, Friedman B, Gill B et al. A plasma display window?—The shifting baseline problem in a technologically mediated natural world. Journal of Environmental Psychology, 2008; 28: 192-199. Stress has been around since Adam and Eve were in the Garden of Eden and attempts to reduce stress date back to antiquity. Alcohol in some form is probably the oldest stress remedy and fermented ales were particular favorites in medieval Europe. Around the same time, tobacco and coca were popular in the Americas as was kava kava in the South Pacific. In other parts of the world, local herbs like chamomile, valerian and St. John’s wort in teas and other concoctions have long been used and are now widely available as supplements. In the U.S., drugs for various stress related complaints included bromide salts for nervousness, paraldehyde for insomnia and even opiates. The first synthetic sedative was a barbiturate developed by Bayer in Germany at the beginning of the 20th century. Long and short acting barbiturates subsequently became available and were used for various stress related complaints, including difficulty sleeping, hysteria, shell shock in soldiers, as well as epileptic seizures. However, barbiturates often had undesirable sedative side effects, and dependency and over dosage were frequent problems. In the 1950’s, a tranquilizer made by Warner Lambert without these complications became available. Miltown, named after the New Jersey city where it was developed, reduced anxiety without causing significant sedation. It quickly became so popular that by 1957, a prescription was written every second in the U.S., the Miltini cocktail was named after it (a Miltown instead of an olive in a martini) and Miltown “peace pills” parties were common in the suburbs. Other drug companies were anxious to cash in on this bonanza, and in 1960, Hoffman La-Roche in Switzerland came out with Librium, which was just as calming and caused less drowsiness. A few years later, they introduced Valium, which quickly supplanted everything because it was even better than Librium, did not have its bitter taste, and was almost impossible to overdose on. By the 1970’s, Valium was the most widely prescribed drug of any kind and the Rolling Stones composed an ode, calling it “mother’s little helper”. Critics were concerned about increased dependency, which came to a head with the journalist Barbara Gordon’s 1979 autobiography explaining her addiction to Valium and nervous breakdown and institutionalization when she tried to stop it. Her story was the basis for the movie “I’m Dancing as Fast as I Can” in 1982; the year Valium’s top selling position was replaced by the anti-ulcer drug Tagamet. Valium is still prescribed for anxiety and muscle spasm but newer anti-anxiety drugs like Xanax and Ativan are now more commonly used, as are certain antidepressants. These may also be replaced by safer and more effective electromagnetic therapies for depression, anxiety, insomnia, headache and other stress related disorders, as described in many of the 50 chapters in Bioelectromagnetic Medicine. Others agree that the repetitive actions needed for knitting and crochet can induce a “relaxation response” much like that experienced with meditation, Tai Chi, yoga and other relaxation techniques. One study at Harvard’s Medical School Mind/Body Institute found a reduction in heart rate of 11 beats/minute and a fall in blood pressure during knitting. Many institutions are taking advantage of these health benefits by incorporating knitting and crochet into their activities. Gilda’s Clubs, which offer family cancer support in locations across the U.S., now provide knitting to help with the emotional upheaval of dealing with cancer. At the Duke Diet and Fitness Center, knitting is used to lower stress for its clients. Grade schools from Oregon to New Jersey have incorporated knitting into their curriculum, not only for the health benefits, but to help build creativity and improve math skills. Many consider knitting to be the “new yoga”, since it provides similar benefits but can be practiced anywhere, whenever you want, and for any length of time. Like yoga, knitting forces those who practice it to slow down, take a break from the rush of everyday tasks, to look at the parts that make the whole, and to expand themselves both mentally and physically. However, yoga can be uncomfortable judging from the facial expressions of some, especially those with pain from arthritis or muscle spasm. In contrast, people who are knitting or crocheting always seem to be smiling and happy. Why Does Exercise Reduce Stress? How Much Do you Need? “It’s clear that exercise is beneficial for mental health. 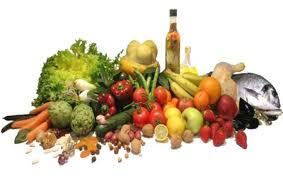 What’s not clear is how it works.” according to the Editor-in-Chief of the Harvard Health letter. In one study, researchers reported that clinically depressed adults who participated in regular exercise for three months had an improvement in symptoms similar to what might have been achieved with antidepressant drugs. Other studies have found that higher levels of physical activity are associated with fewer symptoms of depression in children as well as improvement in symptoms of adults with PTSD, panic and other anxiety disorders. an improved sense of self–esteem associated with physical activity can also have powerful stress reduction effects. In animal studies, rats who were allowed to exercise as much as they wanted to on a free running wheel showed less severe and fewer “fight or flight” responses to a painful stressor compared to litter mates in similar cages with a fixed wheel. The exercise group had lower levels of stress related hormones and reduced sympathetic nervous system responses that may explain these findings.As will be seen in a future Stress Bulletin, regular exercise also improves cardiovascular and immune system function. Well-Being in Patients with Major Depressive Disorder. Med Sci Sports Exerc. stress response by modulating activity of the central sympathetic circuit. to reduce depression and anxiety and to provide other stress reduction rewards that can improve cardiovascular and immune system function. In addition, aerobic exercise increases blood flow to the heart and causes dilation of small blood vessels that allows them to deliver more oxygen to muscle and other tissues. Because of its ability to prevent heart attacks exercise is the cornerstone of cardiac rehab programs and has been shown to lower blood pressure in some hypertensive patients. infections than their more sedentary classmates. Aerobic exercise also bolsters immune system defenses in HIV patients. Weight lifting and other anaerobic exercises improve muscle tone and strength and both types of exercise can increase bone density that helps to prevent osteoporosis. Along with a proper diet, exercise can reduce body fat and weight. hormone levels that could explain these effects. In addition, exercise was associated with less severe and fewer “fight or flight” sympathetic nervous system responses to a painful stressor. Prevent Stress-Induced Immunosuppression. Exercise & Sport Sciences Reviews. 120:269-281. Health And Stress Newsletter #4,#5 2005, #7 2000, #5 1999. 1. Review your current financial situation and develop ways to reduce or manage fixed future expenses more efficiently, and encourage family members to make suggestions. 2. Don’t dwell on past mistakes that can’t be corrected and avoid making new ones by consulting your accountant or financial advisor for recommendations before making decisions. 3. Limit round the clock news coverage of the negative state of the economy and water cooler and coffee break gossip of doomful predictions that may never come to fruition. 4. Beware of quick fix scams that promise to erase your debt or mortgage problems and talk directly to your credit card company, bank, or other creditors about finding ways to satisfy your obligations that provide mutual advantages. Banks don’t want the expense of maintaining unoccupied homes that are not likely to be sold and may be willing to make surprising concessions. 5. Remember that America has always recovered from similar financial disasters and that every cloud has its silver lining. The government is implementing a massive bailout program to alleviate some of the most pressing problems. Keep abreast of how your family or company can take advantage of this by seeking aid from appropriate agencies involved in such efforts. 6. Protect your physical and mental health by getting adequate sleep, regular exercise and periodic rest breaks. Social support is a powerful stress buster and family dinners, a walk in the park or visiting a museum together can prevent preoccupation with financial problems and provides numerous other benefits. Massage therapy is becoming more popular as a technique to relieve stress as well as pain. Much of this trend stems from scientific studies showing its efficacy and safety as an alternative to medication that have helped to shed its image as a luxury indulgence or even cover for prostitution. As a result, companies are increasingly offering massage on site to workers and many doctors, dentists, chiropractors and even hospitals are incorporating massage therapy in their treatments or referrals. The status of massage has also been boosted by celebrity testimonials such as Florida’s Governor Jeb Bush, who said, “I get massage therapy regularly, because a happy governor is a stress-free governor. I recommend massage therapy to the next Governor of the state of Florida.” This was in connection with again proclaiming Oct. 22 – 28 as Massage Therapy Awareness Week. Florida has officially recognized the practice of massage therapy since 1997, when Governor Lawton Chiles declared the first Massage Therapy Awareness Week. Florida, which has 24,000 licensed massage therapists with almost 100 practitioners or salons in the Fort Myers area alone. Florida is also one of a growing number of states that recognizes and regulates massage as a medical modality and has four area educational programs to teach applicants the necessary knowledge, skills and techniques to become licensed under the Florida Department of Health. One facility offers both a Therapeutic Massage diploma, which requires approximately 45 weeks of study, and an Occupational Associate of Science degree in Massage Therapy, which requires an additional 15 weeks of instruction. Studies include skeletal and musculature anatomy as well as specific techniques such as deep tissue sports massage, medical massage and spa massage, all of which are designed to achieve different effects. Many therapists provide services at home. States vary with respect to their Licensure requirements for training, experience and passing specific examinations and several, including California, Colorado and Massachusetts have no requirements although municipalities may impose standards. There is a National Certification Board and you can check the requirements in your state as well as obtain a list of licensed massage therapists and their services at www.massageregister.com/ Additional information can be obtained from The American Massage Therapy Association www.amtamassage.org/, The Massage Therapy Foundation www.massagetherapyfoundation.org/ and other groups that focus on Swedish Massage, Hawaiian Lomi Lomi and other bodywork techniques. 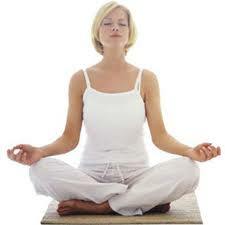 There are numerous stress management training programs available, most of which focus on specific techniques, including: meditation, yoga, progressive muscular relaxation, visual imagery aerobic exercises, listening to special music and various biofeedback devices. However, just as stress differs for each of us, no stress reduction strategy is a panacea. Any of the above approaches may be effective for some, but prove dull, boring and stressful when arbitrarily imposed on others. You have to find out what works for you and adhere to it because you enjoy it, rather than comply with something that you don’t look forward to. The best way to achieve this goal is to be made aware of what is available; bearing in mind that it is essential that this information comes from a reliable source. The Best of Stress Management multimedia course does provide such a smorgasbord that satisfies these criteria. 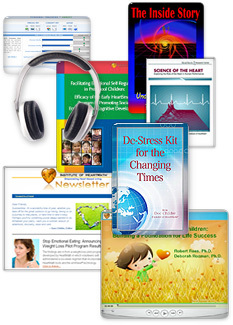 It consists of ten instructional CDs on meditation, biofeedback, guided imagery, breathing and exercise, and which also explain the role of emotions, heredity, healthy eating, spiritual influences, how drawings can help you gain valuable insight, and how to integrate this information to find out what is best for you. All of this is presented in a very clear and attractive fashion by established authorities. A biofeedback monitor and companion workbook are included to assist in evaluating your progress and access to on-line learning programs is also provided. Promising New Treatment for Anxiety, Depression and Stress? According to the National Institutes of Health, about 40 million Americans adults suffer from anxiety disorders, 15 million deal with major depression on a daily basis, and millions more have milder or intermittent symptoms of both. It is not generally appreciated that depression is the leading cause of disability in the 15 to 44 age group, and is responsible for ninety percent of the 32,500 suicides/year. Depression is much more prevalent in women, and while they attempt suicide two or three times more often than men, suicide deaths are actually four times higher in men, the highest rates being seen in white males over age 85. * What accounts for these disparities, and is it possible to predict who is at increased risk? Since anxiety and depression frequently co-exist, many believe that they share one or more common causes. Researchers had previously demonstrated that people with severe depression had low levels of FGF2 (fibroblast growth factor 2) and other related chemicals. However, it was unclear whether these caused or resulted from the disease. To investigate this, the same group studied rats that had been selectively bred to exhibit high or low anxiety behaviors for over 19 generations. Consistent with the human depression studies, the researchers found much lower FGF2 levels in rats bred for high anxiety compared to those bred for low anxiety. In addition, when FGF2 was administered to high anxiety animals, their symptoms were sharply reduced, providing support for a causal role. Other researchers had previously shown that anxiety behaviors in rats could be reduced by making certain changes to their environment that would be considered similar to improving lifestyle changes for people. This study confirmed the beneficial effects of environmental enrichment and also showed that it increased FGF2 levels. But how does FGF2 reduce anxiety and depression? It has long been known that depressed patients as well as those suffering from other stress related disorders like PTSD have memory problems, especially for recent events, similar to what is usually seen in the elderly. This memory deficit is associated with atrophy of the hippocampus, a portion of the brain responsible for storing and retrieving memories, and has been attributed to increased amounts of the stress hormone cortisol that are commonly seen in depression. It has been shown that depression decreases the production of new cells in the hippocampus and other parts of the brain, but this new study found that high and low anxiety animals produced the same number of brain cells. However, new brain cells in high anxiety animals did not survive nearly as long as those from the low anxiety strain, and this could also be reversed by FGF2 and environmental enrichment. 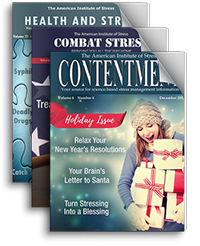 Peruse their PDFs, videos and audio programs containing valuable information and research to help you lower stress and anxiety, improve health, build resiliency and experience other great benefits.